Many LEGO fans go through a period called a “dark age” or “the dark ages” during which we don’t buy LEGO or build anymore. Although I continued building at home during high school and college, I didn’t buy a whole lot of LEGO between 1989 and 1997. Many LEGO fans credit the Star Wars line (released in 1999) for bringing them out of their dark ages, but I joke that I had a second dark age of my own between 1999 and 2004. I feel like I wasted those five years building nothing but Star Wars creations, missing out on all the other great sets LEGO released. But enough about me. Bruce posted his find in this thread on Classic-Castle Forums, drawing Brody out of lurker mode, explaining that he has just came out of his dark ages. It’s amazing to see this kind of creation from a “new” builder. 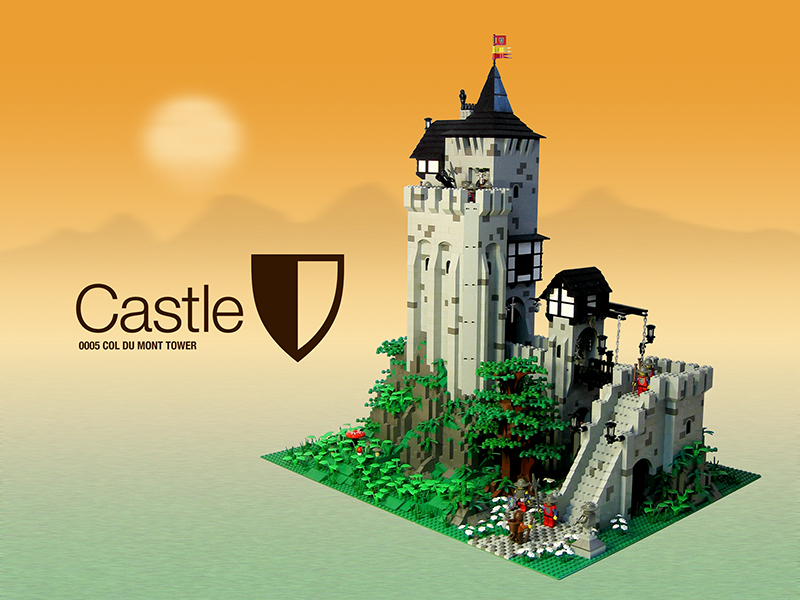 Be sure to click the image above and check out the full gallery to see all the great details in Brody’s castle.